John Singleton Clemons, lawyer and businessman, was born in Launceston on 24 March 1862, son of John Nicholas and Anne Alicia, née Tucker. John Nicholas was one of eight schoolteachers brought from England to Tasmania in 1855, following the reorganisation of the Tasmanian school system and the establishment of a centralised department of education. Born in Tiverton, Devonshire, and trained as a teacher at the training college of the British and Foreign School Society in London, Clemons arrived in Australia armed with letters of recommendation from Matthew Arnold and taught in a number of Tasmanian schools. Married in Launceston in 1861, the Clemons had five sons and three daughters, of whom John Singleton was the eldest. John Singleton was educated at Evandale and then (like his brothers) at Launceston Church Grammar School. Before the establishment of the university in Hobart in 1890, the Tasmanian Council of Education awarded eight scholarships of £200 per annum for four years tenable at a British university. In 1880, Clemons was awarded one of these scholarships. He then studied at Oxford, qualified in law and was called to the English Bar. He rowed for Oxford, and later was a ‘wily bowler’ when he played cricket for Northern Tasmania. He was also a rugby player. On returning to Launceston, he practised law with Alexander Archer and, about this time, acquired wide mining interests. On 7 January 1889 at St John’s Church, Launceston, Clemons married Edith Hope Savigny, the daughter of the Rev. W. H. Savigny, headmaster of Launceston Church Grammar School. (His family had close connections with this school; in 1906 a scholarship was established which honoured Clemons’ father as a ‘successful schoolmaster, and a friend of the Grammar School’). John Singleton’s own three sons, who served in World War I, were pupils at the school. In 1900, Clemons unsuccessfully contested Launceston for the Tasmanian House of Assembly, but in 1901 was elected to the Senate. In his campaign, he claimed that ‘being of independent means’ he would give his whole time and energy to senatorial duties. He stood as a Free Trader, promoted his cause in the Hobart Mercury and was supported by the Tasmanian division of the Australian Free Trade and Liberal Association. He was appointed Free Trade Whip in the Senate. Clemons saw protection as foolish and misguided state interference. He rejected the argument that protective duties were necessary to establish industries, warning that once they were accepted they would never be removed. The Age described him as ‘one of the young men of the House … inclined to be modest and diffident in his manner of speech’, but accused him of ‘voluminous theorising’ on the fiscal question. Clemons, however, always urged Free Traders to accept the need for a revenue tariff, which must be ‘low enough to let goods in, and not high enough to keep them out’. He was a member of the royal commission on the Commonwealth tariff, though he objected strongly when it seemed that the commission’s meetings would clash with those of the Senate. When the Free Trade and Protectionist members of the commission issued separate reports on many items, Clemons signed those of the Free Traders. During the debates on the schedule of the Customs Tariff Bill in 1907–08, he was one of the most frequent speakers as he sought to reduce duties on numerous items. Though Clemons regretted the establishment of the tariff, he came to believe it was inevitable. ‘We have’, he said in 1904, ‘excellent teachers on the other side, and is it wonderful that we have learnt their lesson?’ When the Reid-McLean Government (1904–05) was formed, he promised support so long as it was a liberal government, but saw himself as being ‘to a certain extent’ independent, as he was not a member of a caucus. He was extremely critical of much of the legislation introduced by Labor and Protectionist governments. He saw the Trade Marks Bill as a lever to compel employers to engage only unionists. He believed the Australian Industries Preservation Bill would create monopolies and signalled his intention to vote against its third reading, though in the event he abstained from voting. In 1906, Clemons was re-elected as an Anti-Socialist. Clemons, who constantly stressed that he was a representative of Tasmania and often called on other Tasmanian senators to join him in protecting the state’s rights, took a keen interest in communications between Tasmania and the Australian mainland. He contrasted the treatment of local shipping services with those of subsidised services to Europe. But financial affairs were his primary concern. He believed Tasmania was being impoverished as a result of Federation and inadequate revenue from customs and excise. In September 1906, he spoke against the Deakin Government’s Constitution Alteration (State Debts) Bill, which would have authorised the Commonwealth to take over all state debts. With Senator Dobson, he accused the Government of being ‘absolutely silent’ on policy detail in relation to the Bill. He argued that Tasmania had acted responsibly in providing revenue by direct taxation and would be disadvantaged by the proposed legislation. He considered that other Tasmanian senators were traitors and lacking in their duty unless they joined him in striving ‘to bring about that Federal spirit which can only be created and maintained by a distribution of the revenue on the same lines, and by the same method as we distribute our expenditure’. Clemons stressed the need to curtail Commonwealth expenditure. He consistently opposed the transcontinental railway and, in 1910, objected to expenditure on the Yass–Canberra area, arguing that it was too early to spend money on the capital and suggesting the Parliament might meet in Sydney for ten years. He considered too much was being spent on land defence and on Government House in Sydney. He opposed travelling allowances for senators and in 1906 moved for the reduction of the salary of the Senate’s Usher of the Black Rod. He criticised the vote for external affairs declaring ‘the increase in the expenditure on each Department goes on from year to year until one is forced to wonder if the time will ever come when it will stop, and we shall consider the possibility of decreasing it’. I submit that the Hare-Clark system, whatever else it may do, produces a representation of minorities … What we want is not the representation of minorities in each State. I say at once that this Senate is not the place where all these various shades of opinion should find representation; that such a representation is absolutely contrary to the spirit of our Constitution, and would absolutely and at once nullify the whole worth and value of the Senate as a States’ House. In 1913, he was re-elected as a Liberal, serving in the Cook Government as an Honorary Minister and providing assistance simultaneously to the Treasurer, the Attorney-General and to the Minister for External Affairs. He moved the second reading of a number of government bills and, though there were two other Cabinet members, E. D. Millen and J. H. McColl, in the Senate at Question Time, seemed to represent most of the ministers sitting in the House of Representatives. His participation in parliamentary proceedings gives the impression of a hardworking member who studied proposals carefully and was interested in proper procedures. He often protested at attempts to curtail debate and drew attention to careless drafting or lack of detail which might mean arbitrary power for a minister or an official. In 1912, he complained that the ‘average elector will not be able to grasp the meaning’ of proposals to amend the Constitution. Much earlier, he had stressed that the Senate ‘as a revising chamber, if we are nothing else, should insert words to make our meaning perfectly clear’, adding that it was ‘better to express in the clearest language exactly what we mean … than to allow a clause to go the meaning of which is doubtful’. 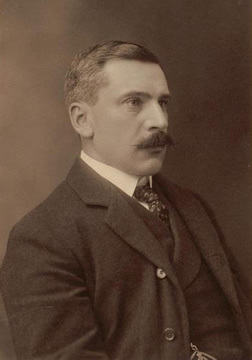 Clemons was defeated in the election following the double dissolution of 1914. Shortly afterwards, he retired to England, living at Cheltenham and visiting Tasmania only a few times before his death at his son Harold’s home in Oxford on 10 November 1944. His wife had died a few days before. Though he left public life at the relatively early age of fifty-two, Clemons had been an active and conspicuous member of the States’ House in its formative years. Basil Rait, Story of the Launceston Church Grammar School 1846–1946, School Centenary Committee, Launceston, 1946, p. 122; The Church Grammar School Launceston: History and Achievements, Launceston, 1923, pp. 8, 10, 23; Letter, Clemons to Sir Josiah Symon, Symon Papers, MS 1736/1/2249, NLA. Examiner (Launceston), 1 March 1900, p. 2; P. Loveday, A. W. Martin & R. S. Parker (eds), The Emergence of the Australian Party System, Hale & Iremonger, Sydney, 1977, p. 397; CPD, 30 May 1901, pp. 442, 445; Age (Melbourne), 31 May 1901, p. 5; Mercury (Hobart), 9 March 1901, p. 3; CPD, 2 August 1905, pp. 421–423; CPP, Report of the royal commission on the Commonwealth tariff, 1904–07. CPD, 14 September 1904, pp. 4582–4583, 4591, 11 August 1904, p. 4133, 5 September 1906, p. 3911; Senate, Journals, 5 September 1906. CPD, 29 November 1905, pp. 5952–5955, 14 May 1902, pp. 12568–12570, 25 September 1906, pp. 5266–5267, 14 August 1907, p. 1842, 25 September 1906, p. 5269. CPD, 10 October 1906, pp. 6328–6330, 30 May 1901, p. 440, 15 September 1910, pp. 3159–3160, 29 November 1905, p. 5913, 28 November 1905, p. 5820, 23 November 1905, p. 5666, 11 October 1906, pp. 6443, 6470. CPD, 6 February 1902, p. 9755; G. S. Reid and Martyn Forrest, Australia’s Commonwealth Parliament 1901–1988: Ten Perspectives, MUP, Carlton, Vic., 1989, pp. 15–16, 103. Examiner (Launceston), 24 March 1945, p. 4; CPD, 5 September 1906, pp. 3910–3911, 10 October 1906, p. 6329, 28 August 1906, p. 3413, 13 December 1912, p. 7016, 23 August 1906, p. 3289. This biography was first published in The Biographical Dictionary of the Australian Senate, vol. 1, 1901-1929, Melbourne University Press, Carlton South, Vic., 2000, pp. 224-227.